Millions of men and women have hereditary hair loss. This type of hair loss can often be successfully treated. 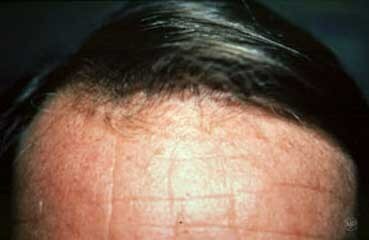 Hair loss may cause gradual thinning, bald patches, or complete baldness. 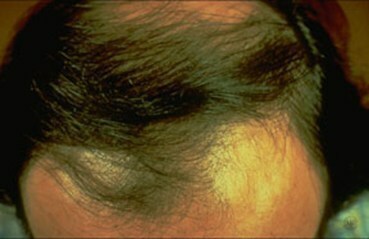 The above photos show some of the different types of hair loss. 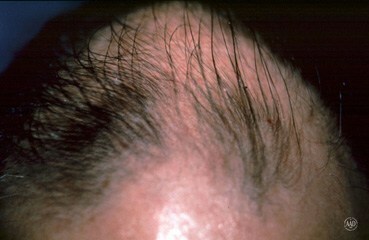 Central centrifugal cicatrical alopecia:If a woman is concerned about hair loss, she should see a dermatologist. The earlier treatment begins, the better the outcome. 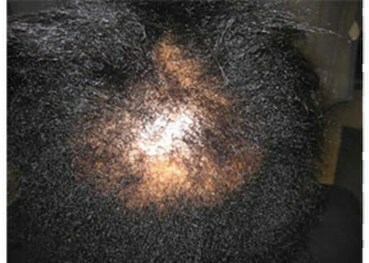 Scalp reduction:B Bald scalp is surgically removed and hair-bearing scalp is brought closer together to reduce balding. Scalp reduction surgery can be performed alone or in conjunction with a hair transplant.